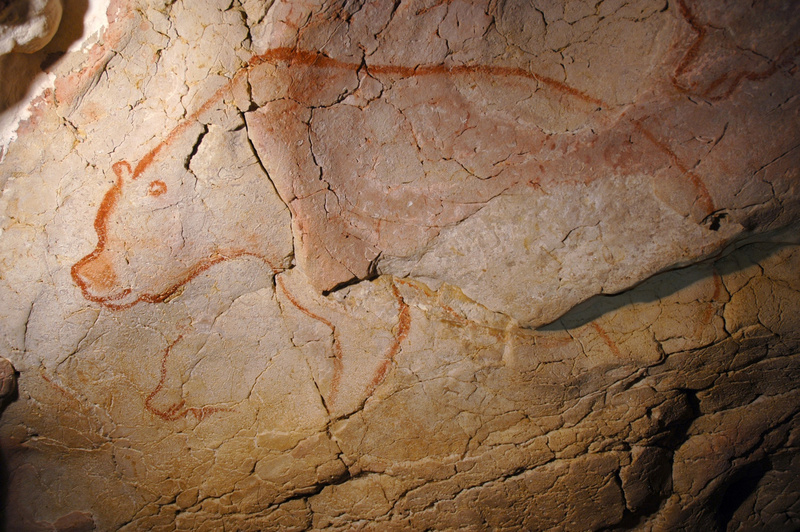 Thirty thousand years ago, on the walls of the Chauvet-Pont d’Arc cave in Southern France, primitive artists painted woolly mammoths, rhinoceroses, lions, horses and bears. Extinct animals that still “live” on the rock and amaze us with the modern style in which they were depicted. There is a even red bear that resembles Ernest, the leading character in the Ernest and Celestine picture books and cartoon films. In the cave there is something more: our ancestors placed the scull of a cave bear on a sort of rocky altar, perhaps evidence of a cult dedicated to Ursus spelaeus, the lord of the caves. Cave bears were the most fearsome animals of the North, which the ancient Latins called Septem Triones, the seven oxen pulling the Plough, the seven stars of the Great Bear or Ursa Major, the great constellation in the northern sky. A myth that was popular amongst Eurasian and North American people identifies three hunters in the stars of the tail and a fleeing bear in the rectangle. Why did peoples far away in space and time see the same hunting scene in a figure that at most resembles a dipper? According to American astronomer Bradley E. Schaefer, the myth of the Bear dates from a very remote time and precedes the migrations that 15,000 years ago led humans to North America across the frozen Bering Strait. Therefore the female bear is thought to be the central figure of the most ancient cult of which there is any memory. Bears are ferocious beasts, warrior animals and at the same time an example of motherly love. Other animals symbolise single characteristics of the human soul (foxes are only crafty, lions are only courageous) while bears are complicated, just as we are. Perhaps it is because their appearance and some of its attitudes resemble our own. Bears descended from the heavens to fight in the Roman amphitheatres against lions and bulls, leopards and gladiators. Ancient mosaics, like the one in the House of the Wounded Bear in Pompeii, tell us this. Centuries later, bears become itinerant jesters at the service of street artists and then dancing clowns in circuses. Circus tradition is brought to mind by Bear, the likeable juggler friend of Masha, the mischievous little girl in the cartoon series Masha and the Bear. Disney also captured the more comical aspect of these large animals when they took Baloo, a serious life coach in Kipling’s “Jungle Book”, and turned him into a carefree joker. Theodore Roosevelt was the 26th President of the United States. He was also a hunter and, in 1902, his assistants tied an exhausted and wounded bear to a tree in the forest so that the President could easily kill it. Roosevelt refused to perform such an unsporting act and did not shoot, but he ordered his men to put an end to the bear’s suffering. A daily newspaper mocked the dubious generosity of the President in a satirical cartoon and journalists dubbed the poor bear with Roosevelt’s nickname: Teddy. Two toy makers took advantage of the stir created by the news story and gave the same nickname to a stuffed toy. 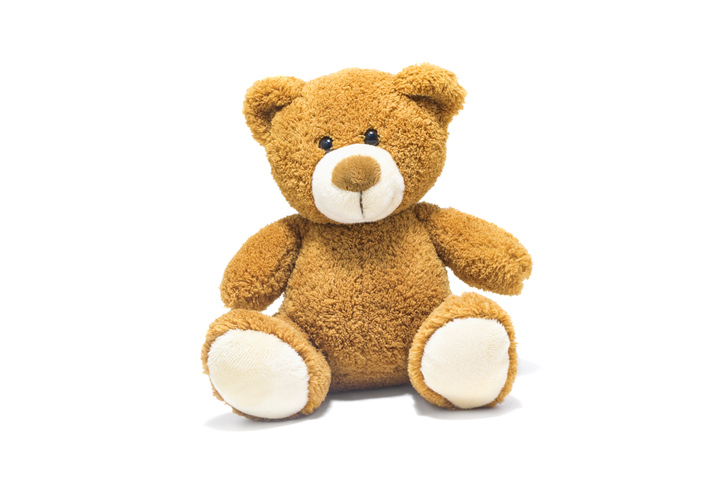 This is how the teddy bear, the most traditional and best loved of toys was invented. Some years later, the British author Alan Alexander Milne took inspiration from his son’s teddy to create the adventures of a little bear very fond of honey, and of the stuffed toys that are his friends. Milne published the first Winnie the Pooh book in 1926. The tradition of likeable bears continued in 1922 when Coca-Cola first used a cheerful picture of a polar bear in an advertising campaign. In 1958 Hanna and Barbera created the Yogi Bear cartoon, about a bear with the habit of stealing tourists’ picnic baskets in Yellowstone Park. Today, great photographers are capturing new and dramatic pictures of bears. This animal has become the symbol of climate change and environmental deterioration. There is a photo with an exhausted brown bear rummaging through trash in an immense rubbish tip (Moth, 2017). In a video, a skeletal polar bear crawls along before dying of hunger (Nicklen, 2017). The most famous photo (Langenberger, 2015) is that of a polar bear reduced to skin and bones hanging on to the last piece of ice in an Arctic Sea that it no longer rules over. The very bear that gave its name to those stretches of frozen waters: in fact, “Arctic” derives from the ancient Greek word “árktos” meaning “bear”.